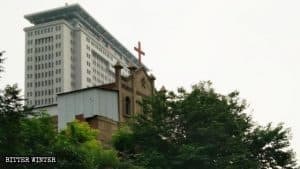 In the wake of Communist Party’s quest for complete eradication of religious belief, the Chinese authorities are attacking the country’s ancient Taoist religion. 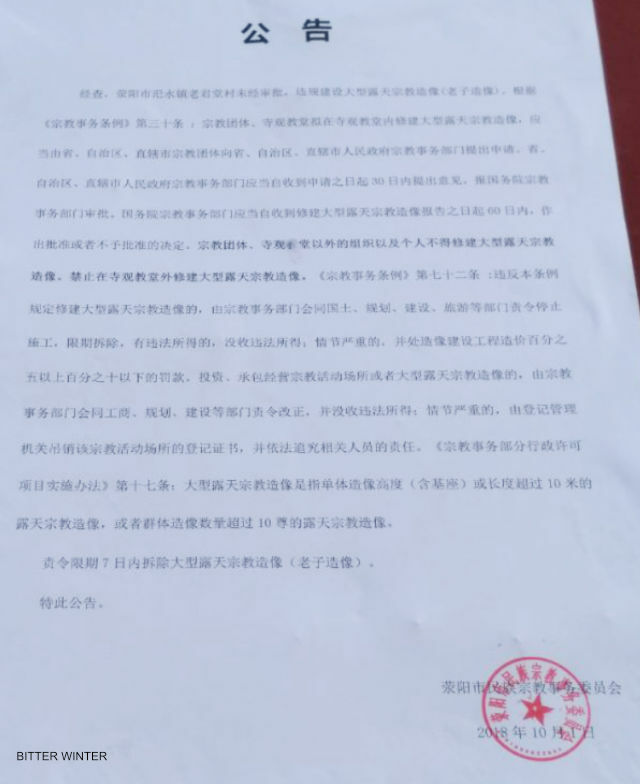 The document issued by the Ethnic and Religious Affairs Committee, ordering the demolition of the Lao-Tzu statue. 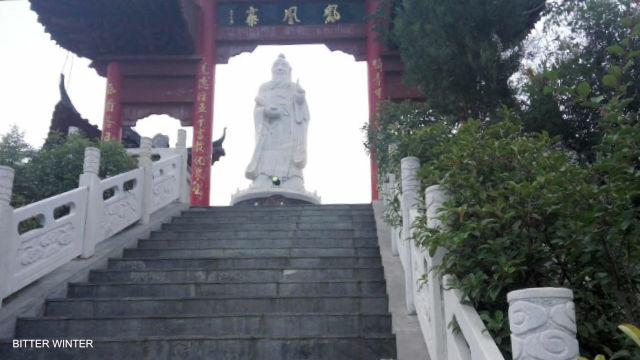 Chinese philosopher Lao-Tzu (also known as Laozi and Lao Tze) is considered to be the father of Chinese Taoism – a spiritual practice and philosophy that advocates living a simple life – that has been a part of China’s civilizational identity from the ancient times. The Lao-Tzu statue in Laojuntang village before the demolition. 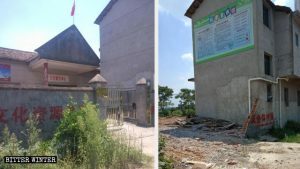 Four days after the villagers were notified to destroy the statue, more than 60 local government personnel showed up at the village to forcibly set the demolition in motion. They arrived in over a dozen sedans, accompanied by police in two SWAT cars and an ambulance. 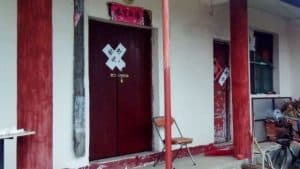 The police set up posts at road intersections that led to the village and forcibly dispersed over 200 tourists from the site. 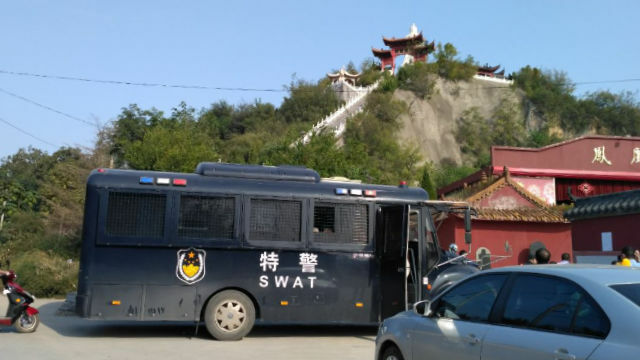 SWAT police guard the entrance to the mountain with the statue of Lao-Tzu. 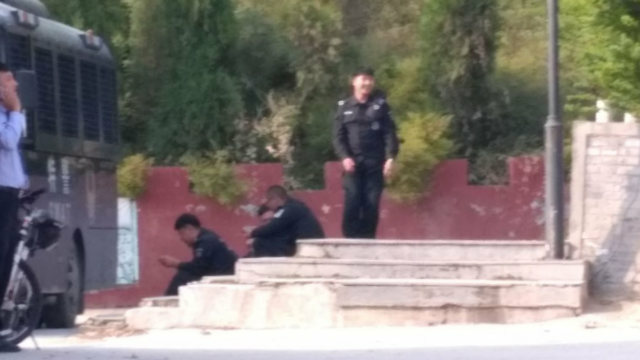 SWAT police at the foot of the mountain in Laojuntang village. 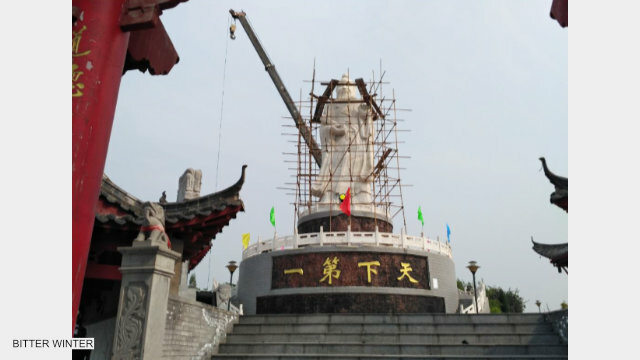 Two days later, a crane was brought in to demolish the statue. 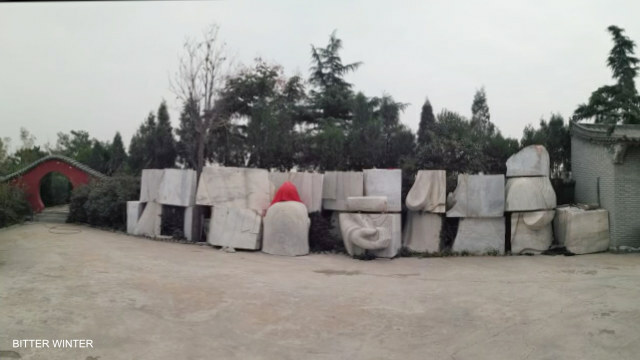 A worker was injured in the process, but that did not stop or delay the work at all. 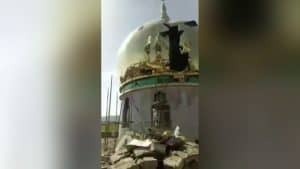 Within hours, the statue was reduced to a pile of rocks. 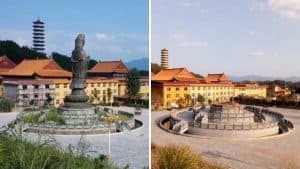 The statue of Lao-Tzu is being torn down. The crane is demolishing the statue. The Lao-Tzu statue is torn into pieces. Lao-Tzu is believed to have been born in the present-day Henan. He reportedly penned down his best work in the area of Laojuntang village where he also shared his teachings at times. A temple was built to commemorate his legacy, which draws scores of tourists throughout the year. 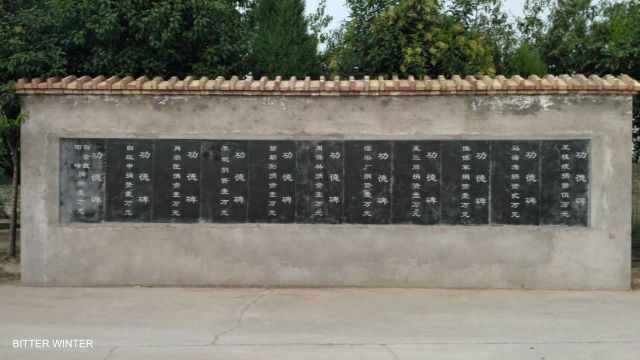 In 2013, the villagers donated money to build the statue in order pay their tribute to the great philosopher. A recognition plaque at the statue of Lao-Tzu. 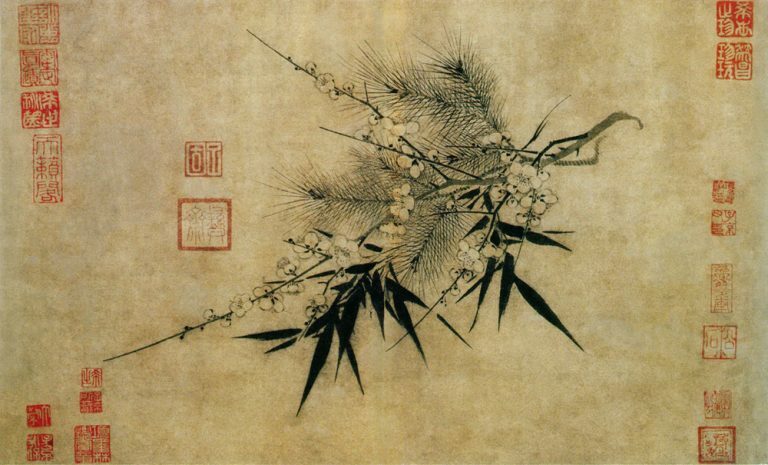 An indigenous religious and philosophical tradition, Taoism has been recognized by the Communist Party as one of the five authorized religions in China and has been governed by the state-controlled China Taoist Association since 1957. 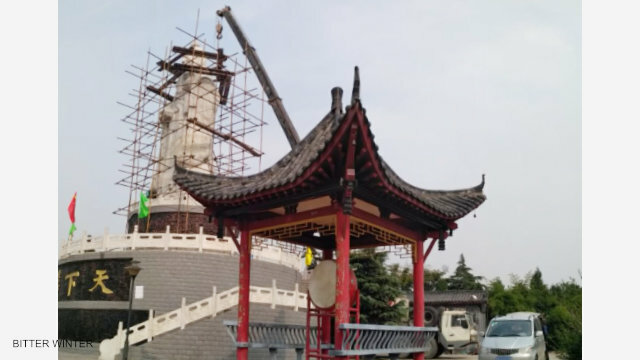 However, after the new Regulation on Religious Affairs came into force in February this year, the Communist regime is suppressing the liberty of even the long-time traditional Chinese religions of Buddhism and Taoism.